Ever had a car accident? What about your house burning down? And a burial for your child, would you be able to pay for the funeral? KwaYa, in partnership with The African Children's Choir is raising funds to provide immediate assistance to families and children who fall outside their sponsorship program. Over the past 34 years ACC has helped educate and care for over 54,000 African children. 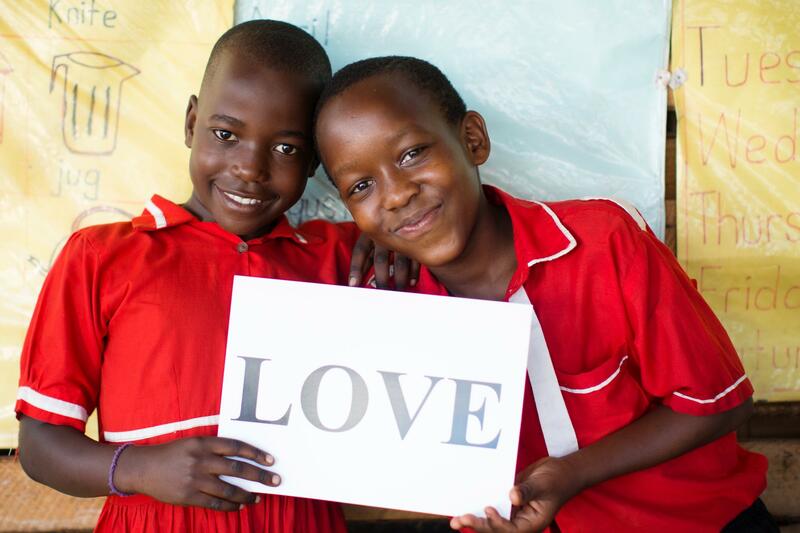 For those who fall outside the umbrella of the African Children's Choir, the KwaYa Big Hearts Fund provides immediate aid for an unexpected crisis. Monies are monitored and distributed by The African Children's Choir based in Uganda. For those choosing to donate on a recurring basis, you are awarded a title (see below) and an African Children's Choir CD of your choice. Stories will be posted monthly on our website (www.kwaya.org) to show where your monies are going and who you are helping. KwaYa is 100% volunteer run and 100% of every dollar goes towards the project for which it was raised. Isaac Lwanga was involved in a boda boda (motorcycle) accident. He sustained a compound fracture in the femur (largest bone in the leg), whereby it broke in two places and a shard of bone pierced the skin. He also broke both his wrists. Luckily he sustained no head injuries. Isaac was taken to Mulago Hospital where he received primary care. They re-set the bones in his wrists and also plastered his leg . The day after his accident we arrived at the hospital to find Isaac on the floor with no mattress. Big Hearts was able to move him to a ward where he receives better care.Isaac required surgery to set the bones in his leg. He needed metal plates to support the bone and the shard of bone was removed. Durung his lengthy recovery he had to use a wheelchair and needed intensive physical therapy and 24-hour care. Big Hearts covered UGS3,000,000 (AUD $1326.840) of his medical costs.